Much of our current knowledge on biological invasion was derived from field studies, but many recent advances relied heavily on mathematics and computing, particularly mathematical modeling. While numerical simulations are clearly a useful approach, they have some serious drawbacks. Approximations errors and the number of parameter values can have a significant impact on the simulation results, the extent of which often remains obscure. Such difficulties do not arise, however, when the problem can be solved analytically. 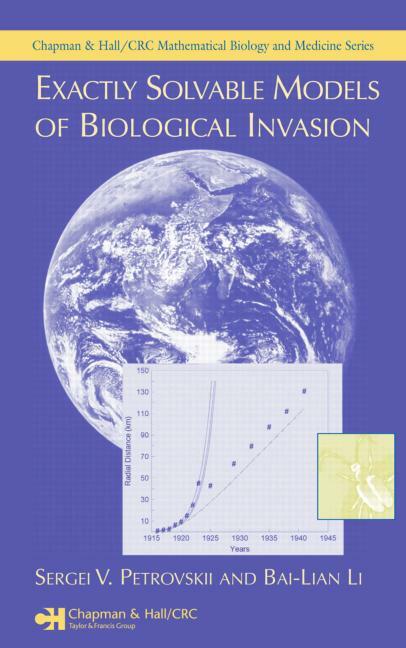 Exactly Solvable Models of Biological Invasion demonstrates the advantages and methods of obtaining exact solutions of partial differential equations that describe nonlinear problems encountered in the study of invasive species spread. 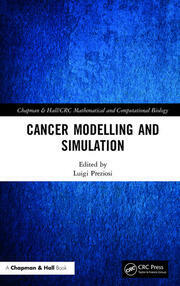 With emphasis on PDEs of diffusion-reaction type, the authors present a comprehensive collection of exactly solvable models and a unified, self-contained description of the relevant mathematical methods. In doing so, they also provide new insight into important issues such as the impact of the Allee effect, the impact of predation, and the interplay between different modes of species dispersal. 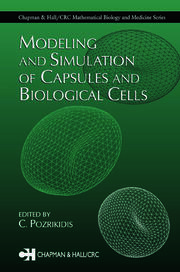 Full calculation details make this presentation accessible to biologists as well as applied mathematicians, and a range of ecological examples and applications demonstrate the utility of exact methods in practice. Exact solutions provide an immediate, complete description of system dynamics for a wide class of initial conditions and serve as a convenient tool for testing numerical algorithms and codes used in more specialized studies. This book lays the groundwork for bringing the power of exactly solvable models to bear on real-world ecological problems. "The book starts with a concise and clear exposition of the basic equations of population dynamics with and without diffusion. A variety of interesting historical examples of species invasion are discussed . . . This well-written, thought-provoking book is a delight for the mathematically inclined reader and is suitable for a graduate course in mathematical ecology."